This pioneer was a leader in the preservation of African American history. She has sponsored a Black History Month program at Collins Chapel CME Church in Covington, Tennessee since 1954. She was one of President George G. W Bush's "Points of Light" recipient for her preservation and research of African American History (1989). 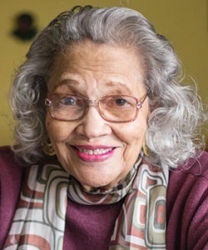 She contributed her World War II Scrapbook of African American History to the National Museum of African American History and Culture - scheduled to open in the Fall of 2016.